The first way to gain protection against the flu is getting the flu vaccine. Each year, a new flu vaccine is made which incorporates the strains of flu that experts predict will be the most prominent. Bill Hanage, a Professor of Epidemiology at Harvard School of Public Health, states that everyone should get the flu shot unless you have a serious medical condition and a doctor advises you against getting the flu vaccine. According to Hanage, you should consult a doctor about getting the flu shot if you are allergic to eggs. Hanage explained that the flu shot has a trace of egg which many not be significant enough to trigger a reaction with individuals that are allergic to eggs. It can cause harm for individuals that have severe allergies. Even in these cases, Hanage pointed out that there are vaccines available that are egg-free. 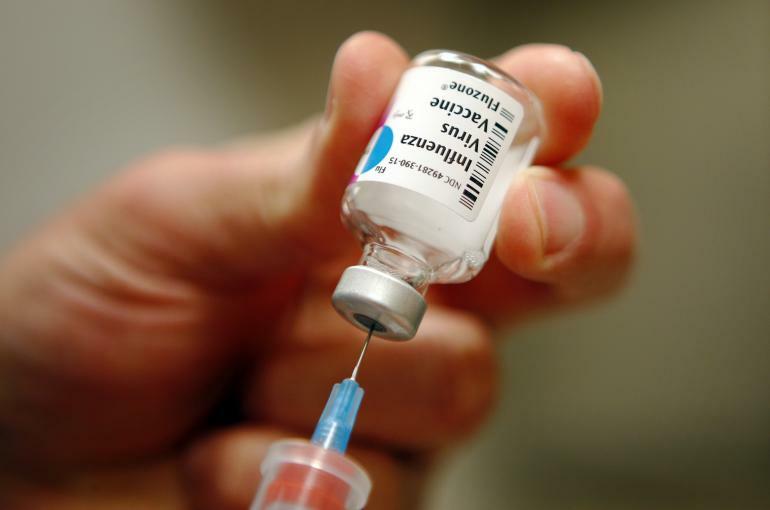 There is a flu vaccine for almost everyone out there. If you are healthy, you can skip going to the doctor and opt for getting the flu shot at your local pharmacy. If you do not know what pharmacy might be offering flu vaccines, you can simply go to flu.gov and input your zip code to find locations. Hanage described how getting the flu vaccine right now is a great idea because if you wait, you might have to wait long lines at your local pharmacy. Worst yet, some places will no longer have flu vaccine supplies. For those individuals that are scared of needles, there is now a nasal spray available for individuals that are 50 and younger. According to Kellee Dixon, a registered nurse and infection prevention specialist at Mayo Clinic Health System, “We do not recommend the nasal mist for people over 50 because as we get older, we need more antigens to produce more antibodies, and the nasal spray doesn’t have enough.” Dixon stated that for anyone over the age of 8, the nasal spray is highly effective. We have flu shots here at, Valley Occupational Medical Center, please call us for more info! This is not intended to give you any medical advice– please consult your doctor if you have any questions!!!! This entry was posted in Uncategorized and tagged Bill Hanage, egg-free vaccine, flu, flu season, flu season 2014/2015, flu vaccine, flu vaccines, Harvard School of Public Health, influenza, Kellee Dixon, nasal spray flu vaccine. Bookmark the permalink.